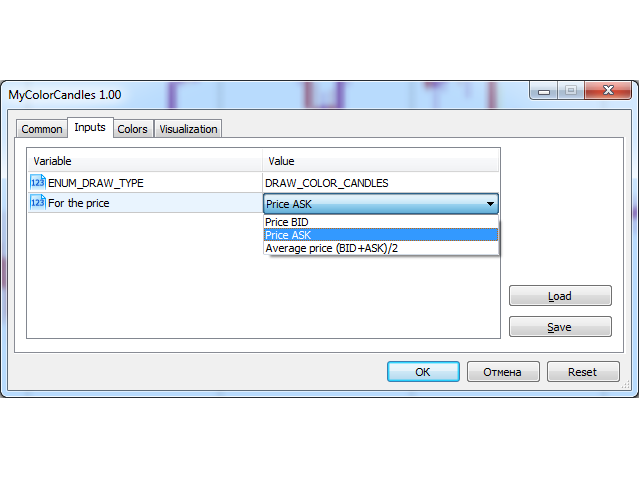 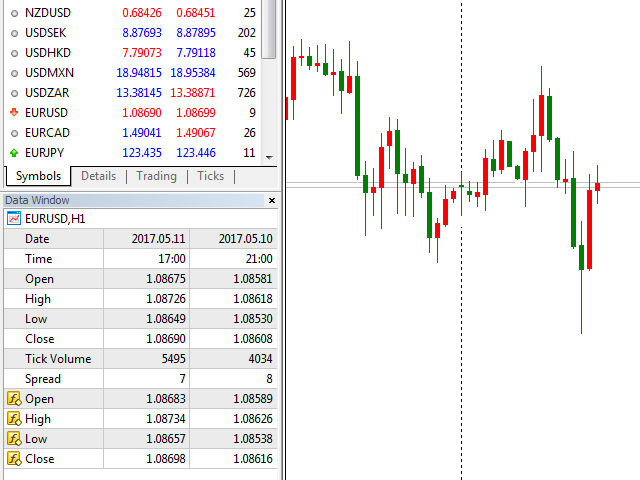 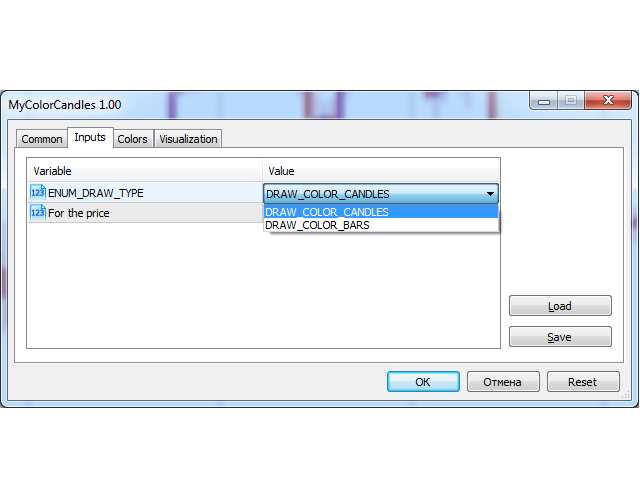 This indicator changes the standard MetaTrader 5 candles to candles at the selected BID, ASK or Average price (BID+ASK)/2. 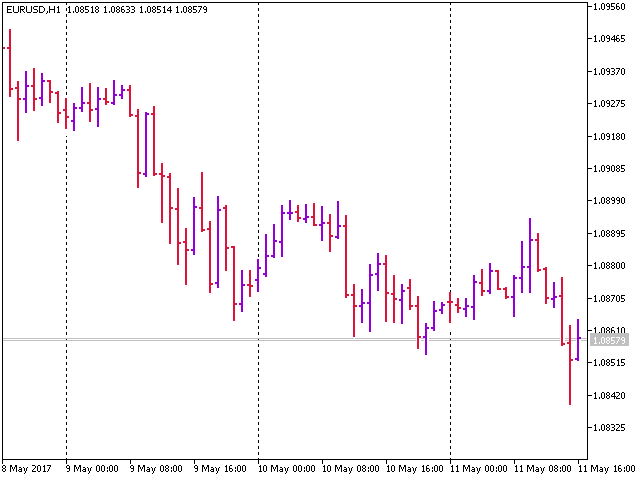 Simply attach the indicator to the chart and select the prices to plot the candles or bars. The chart returns to its normal visualization mode after removing the indicator.